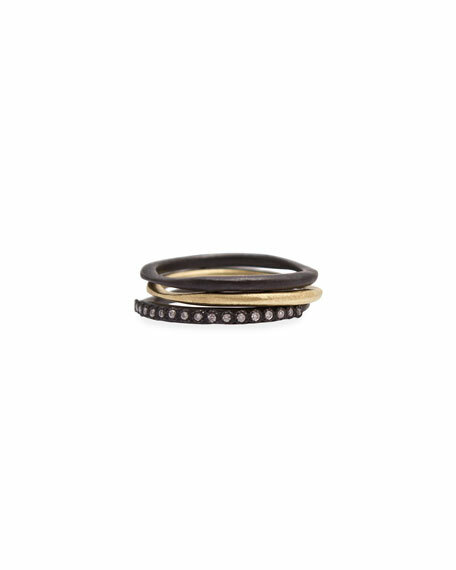 Armenta stacking rings from the Old World Collection. 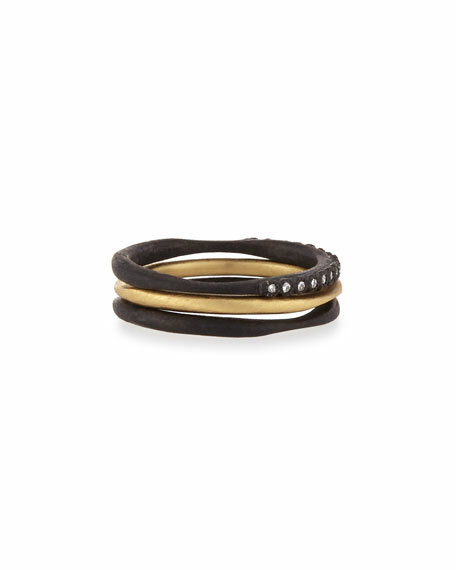 Two bands in blackened sterling silver and one in 18-karat yellow gold. Bezel-set white diamonds trim one band. 0.09 total diamond carat weight. Alexis Bittar stacked crystal rings. May be worn as set or individually. Polished rhodium plated brass. Two prong-set clear crystals. Alexis Bittar stacked crystal rings. May be worn as set or individually. Polished rhodium plated brass. Two prong-set clear crystals. Set includes two rings. Approx. 1"H; 0.9"W. Imported. Armenta disc ring from the Old World Collection. 18-karat yellow gold and oxidized sterling silver. Pavé ombre champagne diamonds trim center. Four Cravelli cross details. 0.32 total diamond carat weight. Face, approx. 16.8mm (0.7"D). Made in the USA.